We are excited to be part of such a special day in history this Monday, August 21st. While the last Total Solar Eclipse in the USA only dates back to 1979, the last one to stretch from coast to coast has not occurred since June 8, 1918. 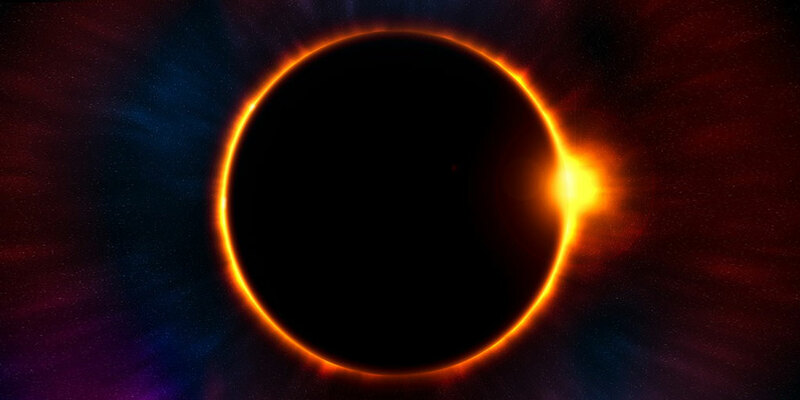 A solar eclipse occurs when the moon blocks any portion of the sun, and a total solar eclipse occurs only when the moon entirely blocks the sun, turning day into night for a few brief minutes. Because being part of this special day in history is so important to many people, we want to make sure you are safe while doing so. 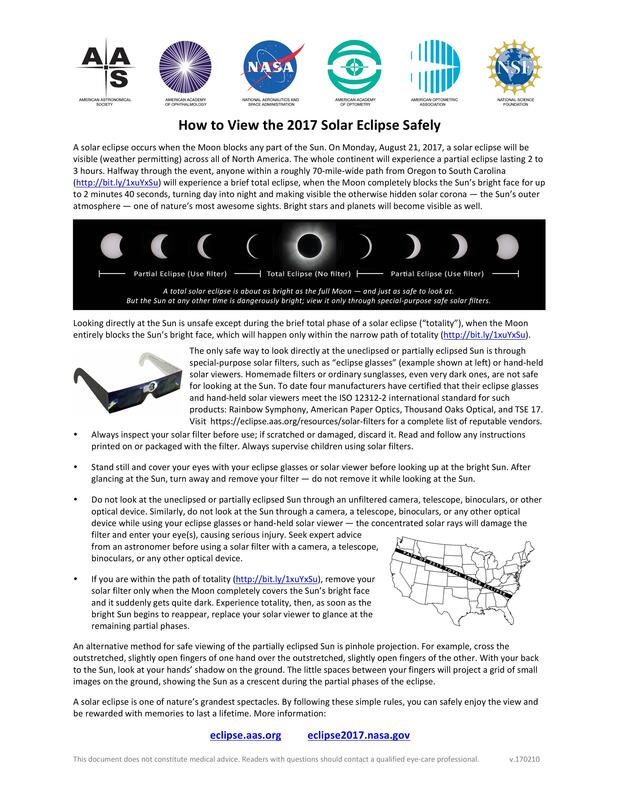 Please take time to read the safety precautions recommended by NASA and the American Optometric Association. Everyone should make the most of this experience, but we also urge you to follow the recommended safety precautions. If you find you have any vision issues after the solar eclipse, please call our office at 479-750-3937 and make an appointment.